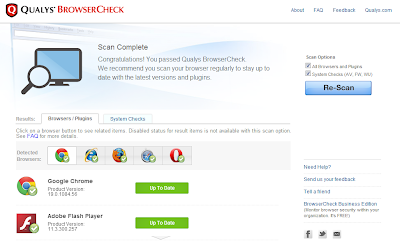 Last year I heard about this really useful web site that checks your browser. 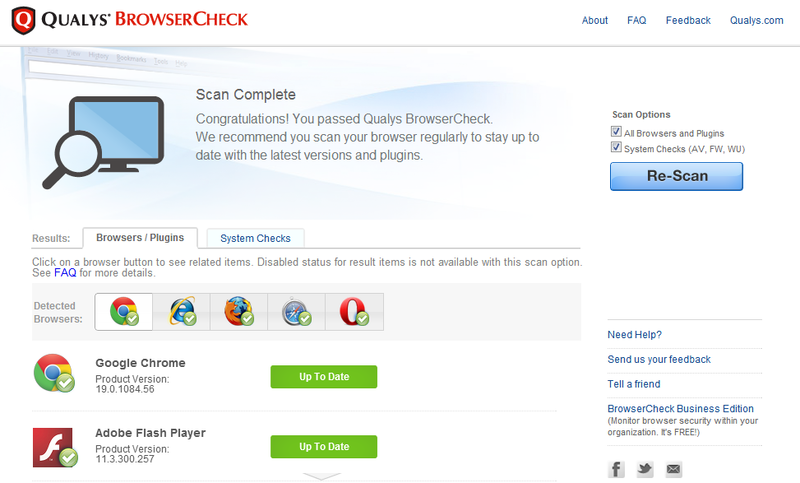 It's at http://browsercheck.qualys.com/. 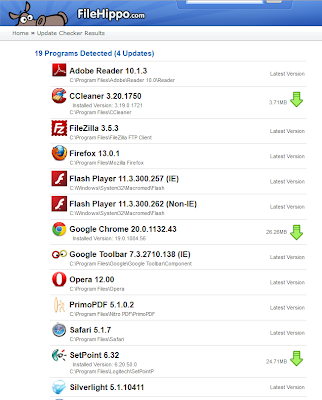 It tells you what plugins are installed in your browser, and whether they are secure and up to date. Now it has just become a whole lot more useful, because it checks all your browsers at once, even the ones you don't use, like Internet Explorer. I have a server running Windows Web Server 2008 R2 and the version of IE that comes with it is basically useless, and I never use it. I use Google Chrome or Firefox instead, mainly for downloads. Recently I discovered that IE still had an insecure component of RealPlayer installed. It turns out this is the default configuration of Windows, so without a tool like this I would never have known. Then there is the machine I use to develop the FishWise Pro web site. It has 5 different browsers installed, and keeping them up to date can be a problem. Not any more. 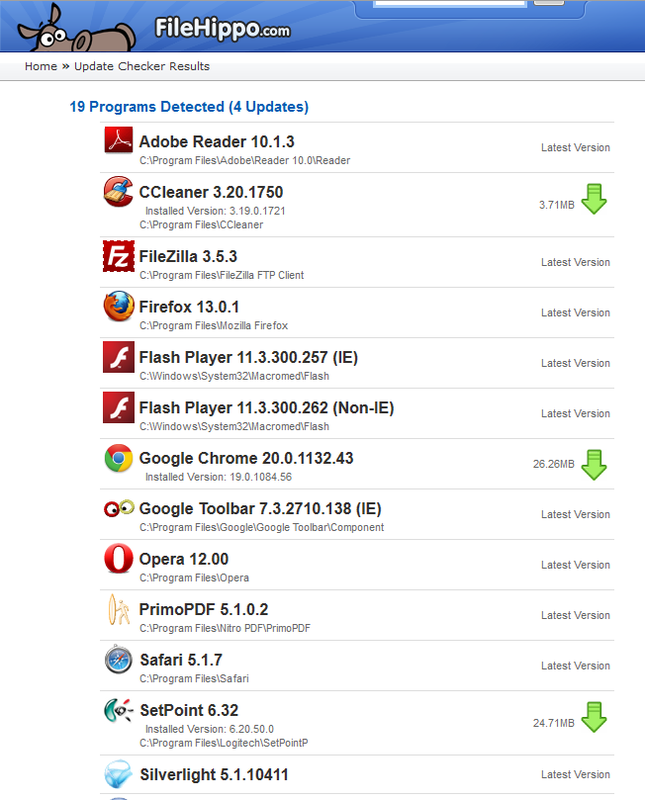 The screen shot above shows me that they are all up to date, as well as all the main plugins, like Flash, Silverlight, Adobe Reader, and Java. Its very helpful. Another related tool is the Update Checker from FileHippo.com. I run it from time to time to find out which applications need to be updated. It doesn't check every app I have, but it is pretty comprehensive and useful. If you haven't tried these utilities out, now is a good time.